Now you have more choice than ever! With the Coast custom cable capabilities integrated into Alpha’s capabilities, we’re making it even easier to get the ideal custom cable for your application. With our quick quotes—most requests are quoted in 24 hours or less—and fast production turnaround, we will have your custom cable to you in no time. Alpha Wire acquired the custom cable giant, Coast Wire, in November 2014. Since 1962, Coast Wire has been manufacturing custom wire and cable for a variety of industries using a multitude of materials, compounds, and designs. Our manufacturing capabilities include an assortment of insulation materials, from PVC to PTFE to silicone, and a conductor range of 4/0 to 50 AWG. We provide responsive prototyping and development, design for manufacturability feedback, and material selection. We work with you to optimize your design and our manufacturing process to attain cost, quality, and design objectives. You will get the best match of electrical, mechanical, and environmental properties. And, minimum order sizes are as low as 100 feet. We offer you more choice in materials and configurations, sizes and shielding options, and have the ability to fulfill your request fast. 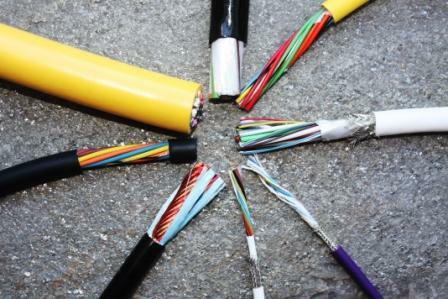 Our custom cable options come with more choice in conductor, insulation, and jacket materials than ever before!